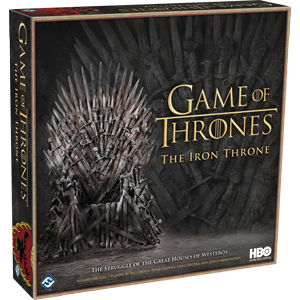 Based upon the thrilling HBO series and using game systems from the legendary board game Cosmic Encounter®, The Iron Throne places you in command of one of five Great Houses and challenges you to land five of your influence on your rivals` Houses. Iconic characters from the show will help you. Diplomacy is always an option. Betrayals are inevitable.